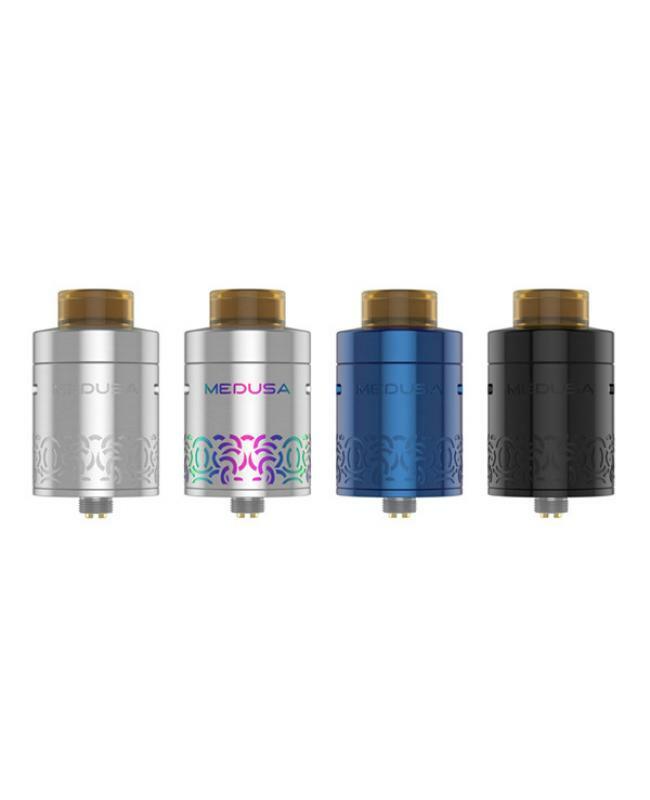 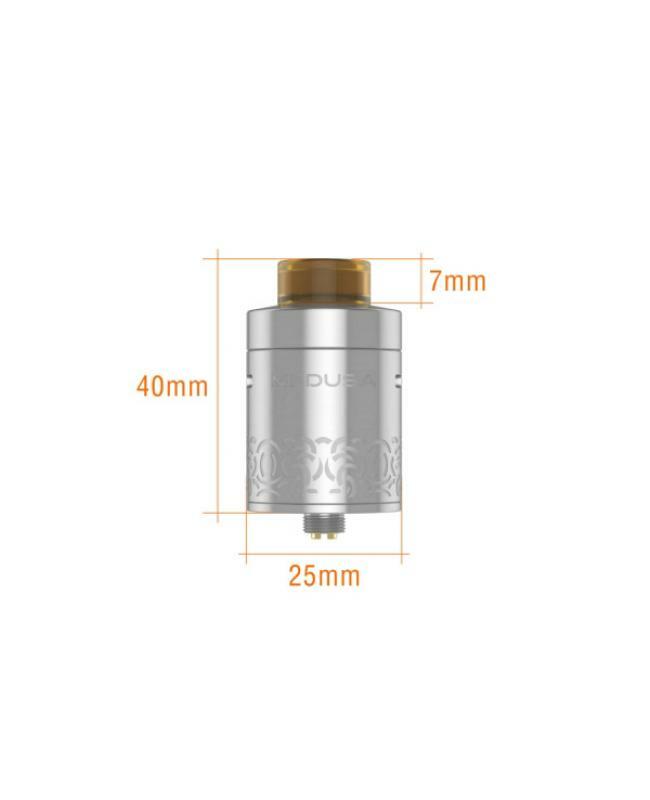 Geekvape medusa reborn rdta tank, four fashionable colors available, can hold 3.5ml e juice, diameter 25mm,2ml juice capacity version available to fulfilled TPD rules. 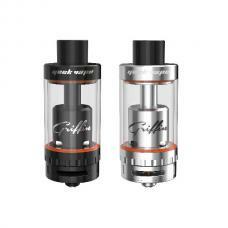 the new geekvape rdta tank with quick access system and optimized building deck, new dual split post building deck with unique elevated posts for vertical coil build. 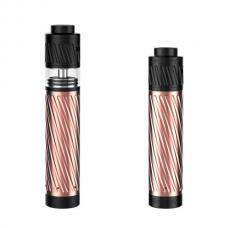 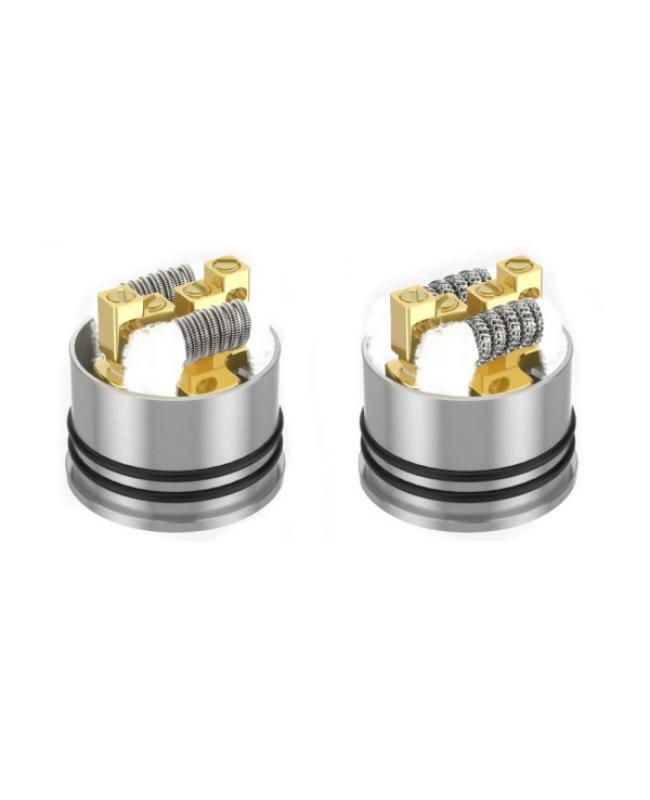 the improved building deck allows vapers install wide variety coils, recommend works with Clapton and staggered coils, making refill and coil build easier, quad airflow slots on top of geekvape tank allow you to adjust the airflow to your preference easily. 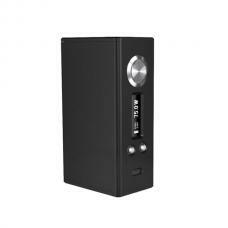 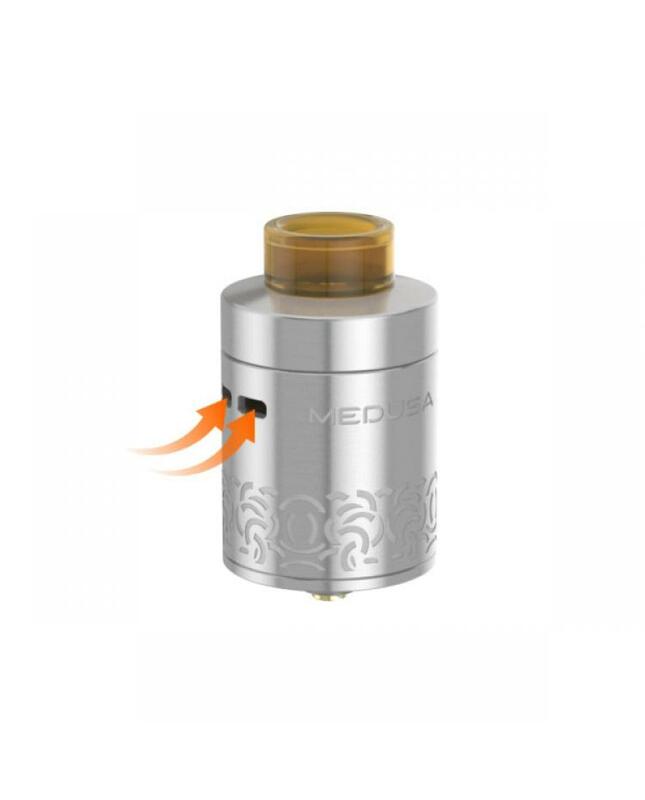 medusa reborn tank compatible with 810 and 510 drip tips, comes with large juice capacity, can hold 3.5ml e juice. 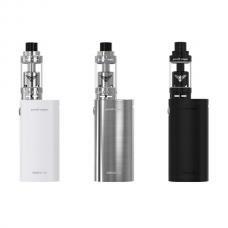 all parts detachable, easy to clean.